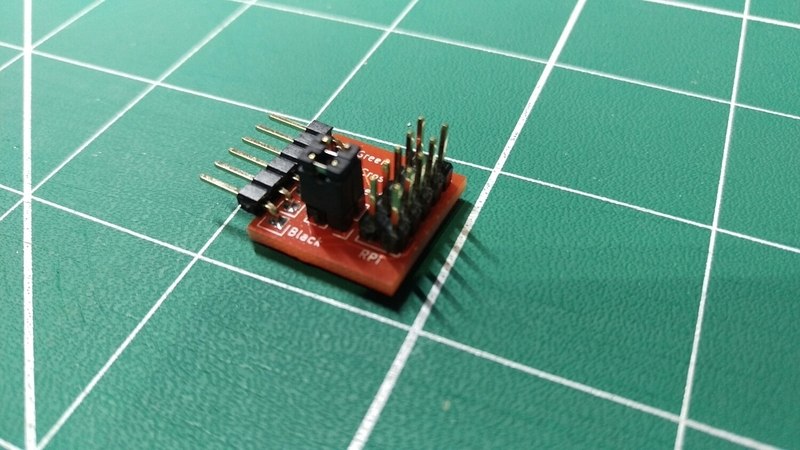 These are a simple adapter to allow connecting of an FTDI style cable to a Raspberry Pi or alternatively (and what I actually designed them for) connecting a Raspberry Pi peripheral that uses the serial pins to an FTDI adapter. This was also my first experiment with KiCAD and I am quite pleased with the outcome. The circuit is fairly basic. 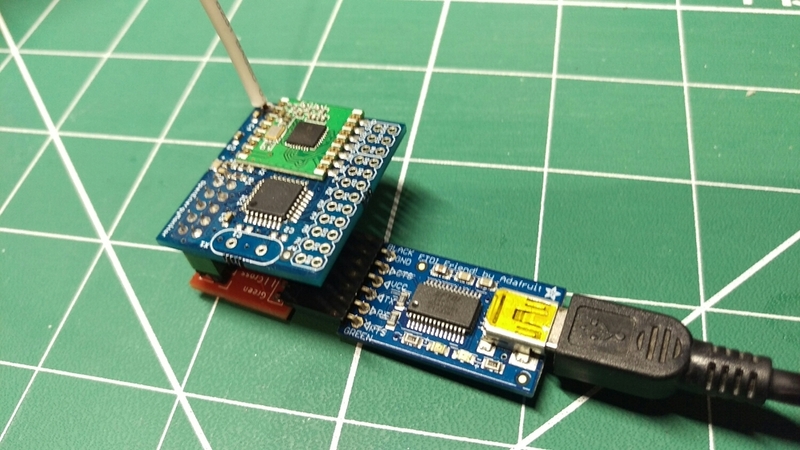 One 5x2 connector for the Raspberry Pi, one 6x1 connector for the FTDI adapter and two jumpers to configure if the serial data points are connected RX to TX, to enable communication with the Pi, or TX to TX and RX to RX, to enable communication with an add-on board. The PCBs were manufactured by Ragworm. The KiCAD files can be found on GitHub.